We are a leading Manufacturer of screw conveyor, chain conveyor, roller conveyor, crate washer with 180 degree tilting conveyor and food inspection belt conveyor from Rajahmundry, India. Since the inception of our company, we manufacture and export the superior quality of Screw Conveyor. For transportation of materials from one place to another, the rendered screw conveyor is used. Owing to its high load carrying capacity, high performance and longer serving life, the rendered screw conveyors are highly demanded. 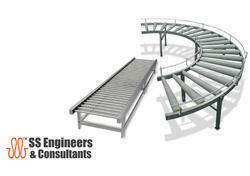 Leveraging by the vast experience of this domain, we manufacture the finest quality of Chain Conveyor. Used for material handling purposes, the rendered chain conveyor is easy to operate and requires less maintenance. To manufacture the rendered chain conveyor, we make use of quality assured materials and latest technology. 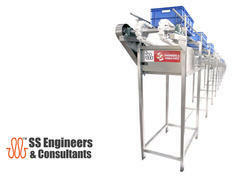 Esteemed as a reliable exporter and manufacturer, we are engaged in rendering the best quality of Roller Conveyor. 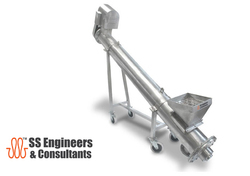 Fabricated and designed by using cutting-edge machinery, the rendered roller conveyor is used to transport materials from one place to another. 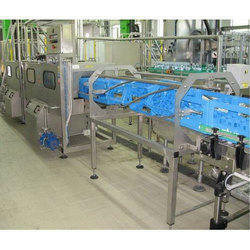 To ensure high standards of quality, the roller conveyor is checked on various quality assurance procedures. 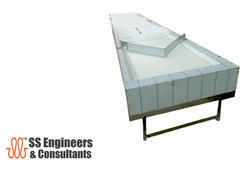 can be mounted before and after the Crates Washing System or Conveyor. Under tray is available at extra cost.